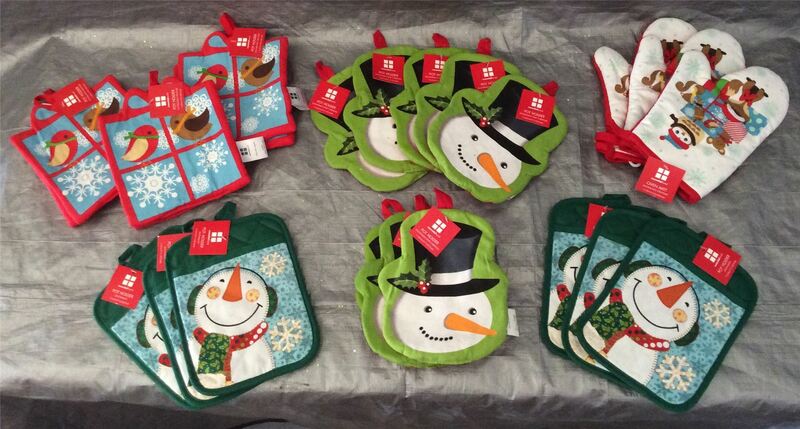 You are purchasing a wholesale lot of assorted Christmas themed Oven mitts and pot holders. The lot is a mixture of oven mitts and pot holders. The lot has a mixture of designs / styles. Click the button below to add the Wholesale Lot of Assorted Christmas Style Pot Holders Oven Mitts Holiday Kitchen, Lot of 10 to your wish list.